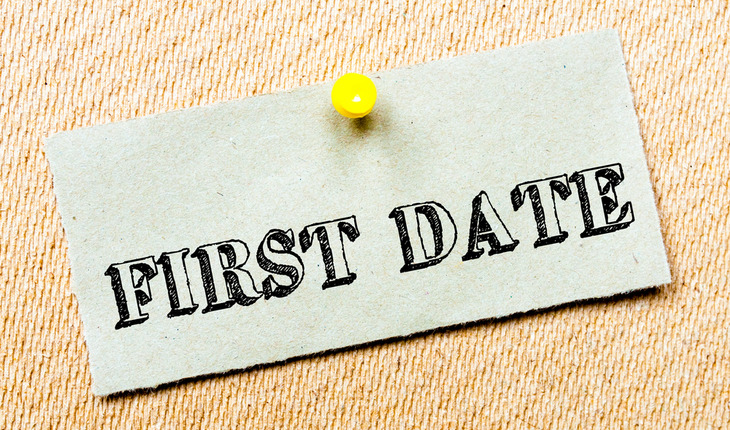 The first date is one of the most perilous parts of any relationship. People micro-analyze each other’s behavior and each tries to be on their best behavior. However, the good news is that peoples’ true selves are betrayed in ways they may not be aware of. Pay attention to some of these and you can save yourself a world of heartache. The person says he is interested in you but then never asks you anything personal. This is a big hint, but can work both ways. At first blush it would seem that the person has no interest in you. That is possible. Another possibility is that the person has discomfort with personal relationships and this type of person is simply uncomfortable with what he considers prying. A second one is that the person does not know how to communicate well in a relationship setting. Ask further questions in order to understand why. For example, you could ask the person why he keeps bringing up X, Y, or Z but never asks anything about you. For instance, the person could always be complaining about someone stating that person lacked a certain quality, and your date, coincidentally, was always in the right. This would show that being right is more important than being present to the fact the person is on a date. This would be demonstrative of someone who is more concerned about his world than the world of you two as a couple. If he is not asking about you, pay close attention to what it is that person ‘is’ talking about, as it will give you great hints about where his head is, and, more importantly, the priority of a relationship as opposed to something else. The person goes to a networking event with you but then “loses” you. This one seems to be either a situation in which the person wants you to know it was not a “date” or where the person does not want to be associated with you. Additionally, this could be the sign of a narcissistic person who sees the event as an opportunity to meet people he could otherwise not meet. However, you, who are of secondary importance, he can always talk to. Today, many people are using business networking events as a way of meeting people and going for lunch or dinner as a way of getting to know the other person without it feeling like a date, and everything that goes with it. The person gets angry very quickly over something you do or say. This is not a good sign. If he finds fault with what you do, there are many ways to work it out; things take time. However, if the person has a hair-trigger temper on the first date, remember he is on his best behavior. Do, however, consider the person may be having a bad day or there may be other things at play. Try discussing the situation with the person as calmly as you can and try to understand what you have done to set him off. If that question upsets him, run, don’t walk away. The person is not a team player. There are many ways in which this can be manifested. However, it can be as simple as walking ten feet ahead of you, or not helping you when you drop something. Depending on what characteristics you are looking for in a mate, this may not be important. Do keep in mind that someone who is not a team player may have other complementary characteristics such as a lack of empathy. Either way, you may not be happy around such a person for long. The person claims to like you but has no physicality towards you. There could be one of three issues at play here. Don’t forget that some people still require an emotional connection before they feel comfortable with a physical one. Others may simply have no interest in you once they are in your presence, while a third group takes a very conservative view towards a physical relationship early on. Some people are sensitive and nerves affect them, making them behave differently. If, after all this, you even find it hard to achieve a kiss (even on the cheek) after a successful date, it may be time to ask the person so that you no longer invest your feelings into the relationship if it is going nowhere. The person plays verbal games with you. He seems to want to be one up on you when you misunderstand something or he has to repeat something. This seems to be a common quality of a person with low self-esteem who uses these techniques to make himself feel better when a situation makes him feel inferior. This is a dangerous personality trait. This person will always find a way to make you feel smaller about yourself because that is the easiest way for him to feel better about himself. This trait is not one that goes away any time soon. How many years are you prepared to deal with this? Last but not least, an oldie but still a very good barometer: the treatment of people in subservient positions. When you bring the person to a restaurant, pay attention to how he treats the restaurant staff, and hope there are some mistakes. If he speaks down to the people, you know what you’re up against. The reason I state mistakes is because it is the easiest way to cause stress and observe how the person handles it. Some people really change dramatically under stressful situations and as life has its challenges, determine if these reactions are the type you can handle over a long period of time or will you be spending a majority of your time apologizing for something that wasn’t your fault. At the end of the day, we all go on first dates in the hopes that they become more than just that. We want to meet that person with whom we’ll share our daily lives, and add a different meaning to them. The world and school provide little training in this, one of the most important areas of our lives. We find ourselves navigating these dangerous waters ourselves, and learn as we go. Life is too short to learn all of these lessons ourselves and Relationships 901 (R901.org) has the goal of helping all of us enjoy our dating and marital lives by knowing a few guidelines that make all the difference. Relationships901 (R901.org) is a program produced to help you overcome relationship issues in a week. Authored by well-known high-level negotiator Steven Riznyk, it demonstrates, through actual event footage, how people behave when challenged. It uses conflict resolution methods created by Mr Riznyk, who has successfully resolved kidnappings, extortion, and a host of business and marital issues. As Mr Riznyk is an avid dog lover, 25-49% of the profits will be donated to his charity supporting abused and abandoned dogs.